“To make a change, if I have to quit, I will,” said Curtis, who is working multiple jobs as she raised two children in South Memphis. Robin’s story shows that when we rise up together and speak truth to power, we inspire others to join us – and grow our movement to new heights. 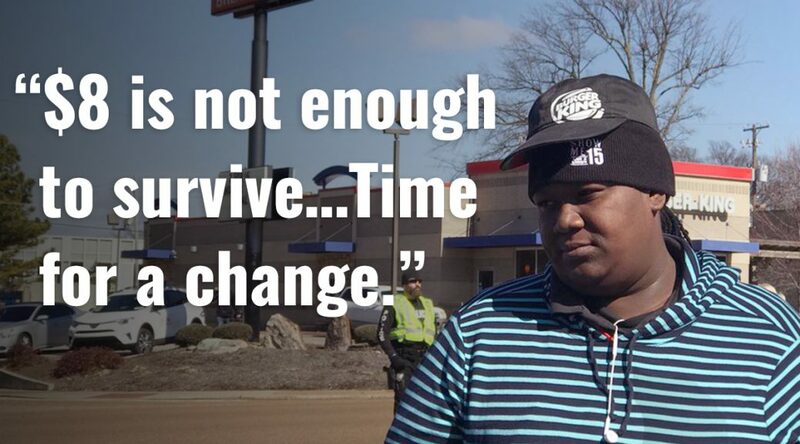 POWERFUL: Seeing the rally nearby, 28-year-old Burger King employee Robin Curtis said she made a split-second decision to walk out on her job of about six months, telling her manager, "Time for a change."